Have you ever considered guiding as a career you'd like to pursuit? One of our past staff Nasim from Iran, came here to take a Wilderness Guide School course a few years ago. It was her dream to and some day she decided to take initiative to take the steps necessary to turn this dream into reality. 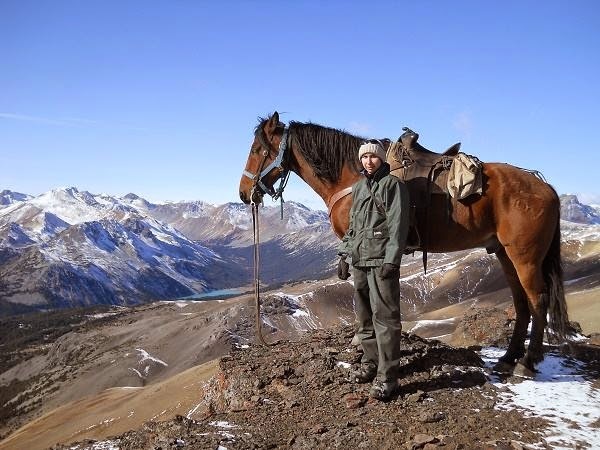 She took guiding lessons, rode into the mountains, and pushed herself to the limit. And she made it! Here is her story. I think my first contact with horses was when I was 6 years old when I and my family was going to weekend holidays to the ski resort in winter time. I was asking my parents let me ride the horse, however, always somebody led the horses and I didn’t ride them alone I‘m quite sure that experience describe when my passion about horses was began. There was some obstacle for me to start my favorite sport more earlier. The very first one was horseback riding was military and luxury sport, there was no public schooling stable for ordinary people. Even though my uncle was able to find me a private stable, it was too far away and too expensive for my parents to support me in that time. Between my graduation from high school and university, I had 6 month to go and follow my dream” horseback riding”. I found the governmental stable who related to the military who run the horseback riding class. I had my driving license and I was mature enough to go anywhere by myself. I was independent. I registered on horseback riding class, I took 6 month class, 3 days in a week. That was one of the best period of my life. University made it difficult to keep up these classes, but I was lucky enough to get an internship with a German woman who had an Asil ( Arabian) Horse Breeding Center. I learned so much there. After I had finished I took my first chance to work annually as an assistant guide for a horseback riding tour operator. And last but not least purchased my own mare. After that I got to work as an assistant instructor, take part the Eco-tourism courses and acquired a Eco-tour leader license. 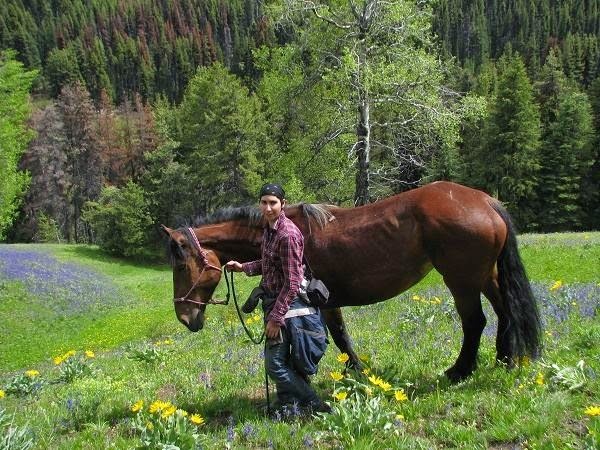 In 2008 I started to work in a travel agency, running the incoming section focusing on horseback riding tours. 2010 was definitely a turning point in my life. 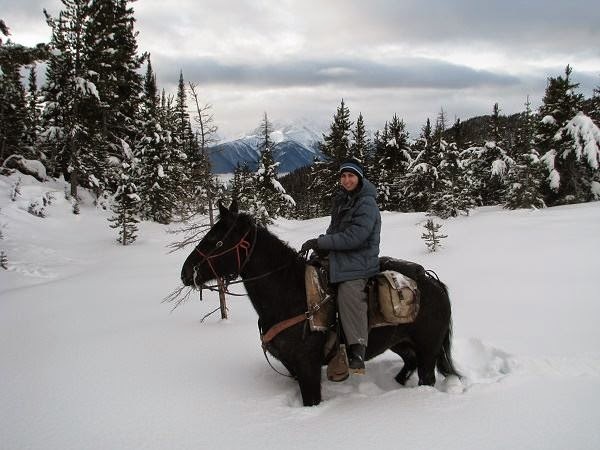 I started breeding my mare, had my first foal and I made the decision to enroll in the Wilderness Guide School for guiding lessons and gain valuable work experience in Canada as a wilderness guide. 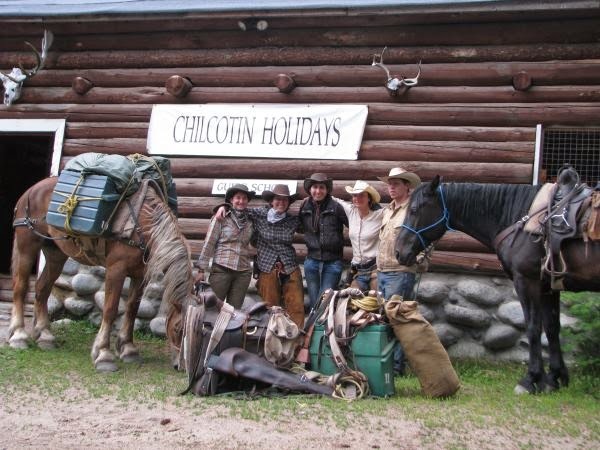 I came to Chilcotin Holidays in May 2010. After completing the first course of guiding lessons I decided to take the Advanced Wilderness Guide and Tourism Management course to learn as much as possible about guiding and the business and am hoping to start my own business some day. After completing the three courses I decided to stay on to gain more experience. I acquired a very specific knowledge about how things work in Canada. Unfortunately things work differently in Iran but once you understand the principles of how things are connected and what you need to be aware of it is much easier to learn the regulations and norms of another country. Apart from gaining a better understanding about guiding and taking care of guests I learned many valuable soft skills, most importantly time management. If you have never done it before then it is hard to imagine how much planning and organizing even the shortest trip into the bush takes; it is essential to ensure that everything goes well and on time and you return with satisfied guests. Here I learned the importance of procedures and how to make my own procedures and plan and then to actually put them into action. I also learned that you can overcome anything no matter how challenging it appears at first, that if you are pro-active in trying to look for a solution, you can be a part of the solution rather than being a part of the problem. The greatest experience for me was that women can freely present their talent and that we are just as capable as men. I saw lots girls from as young as 17 take guiding lessons and guide groups of guests professionally through the wilderness and saw that the guests and Kevan trusted them, regardless of gender. It was a great encouragement for me to be more confident in myself. If you trust yourself, others will trust you too. From then on until today I remain positive and patient, I follow my dream wherever I am. I also want to develop Iranian horseback riding tours so that the country's horse riding potential is realized. I'm positive that the 2 years of work experience and amazing guiding lessons at Chilcotin Holidays will definitely guide me through any upcoming challenges in the future.